This small set with glass pans can be dismantled and stored in the box base. 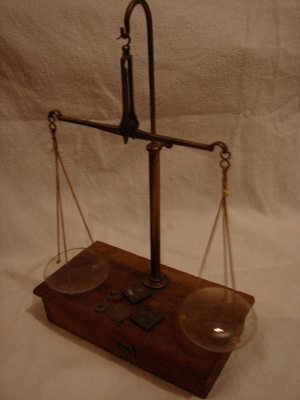 The apothecary (now called a chemist) used these scales to measure out tiny amounts of drugs and medicines. The basis of the apothecary system is the grain (actually, a barley grain): 20 grains (gr) = 1 scruple, 3 scruples = 1 dram, 8 drams = 1 apothecary's ounce. 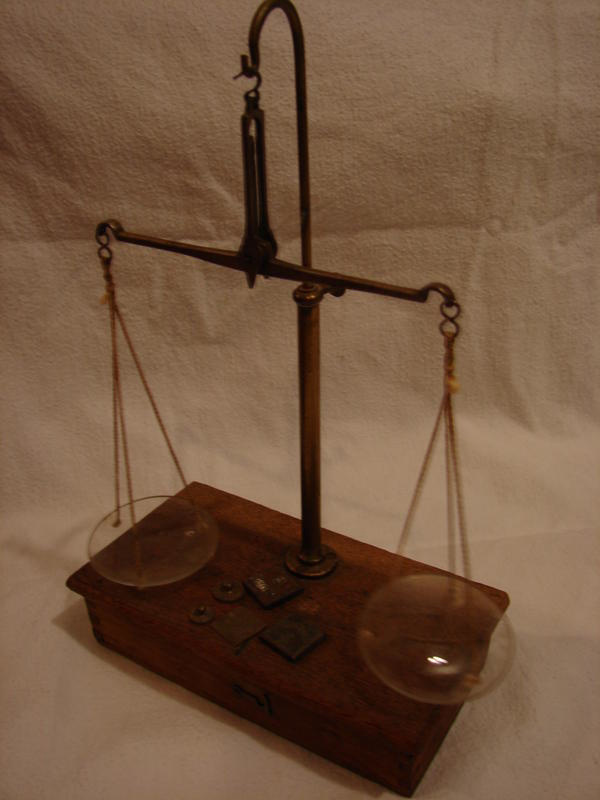 (Today's kilogram would convert to roughly 15,430 grains). This set belonged to Dr John Danforth Greenwood, a well known early settler to the area, who was very involved in his community, as was his wife Sarah, a renowned artist and diarist.